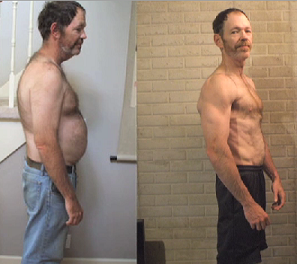 Shakeology meal replacement shake gave Bob the nutrition and energy he needed to power through P90X. Bob lost 47 pounds and 6 inches off his waist at 52 years old! He was overweight his entire life. By the time he was 52 he was 240 pounds. He was having chest pains and his blood pressure was astronomical. He was also on blood pressure medication. Like so many people in his age group, his health was not good from lack of good nutrition and exercise. His son was also overweight and getting teased at school. Bob saw that his son was headed down the same path as him and decided to do something about it. Bob’s wife achieved incredible results with P90X, the 90-day fitness program so he and his son decided to give it a try. The problem was that he did not have the energy to get through the extreme workouts. He needed a solution. His wife suggested he start drinking Shakeology. Bob noticed immediately that he felt better and had a great energy boost. With Shakeology to give him the fuel he needed and the at-home exercises, Bob was amazed at this results. He threw away his blood pressure medication and anti-depressants. Getting rid of those medications was a huge step towards better health. He is now in the best shape of his life! 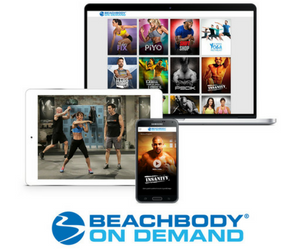 He is so thankful to his wife for introducing him to Shakeology and P90X. 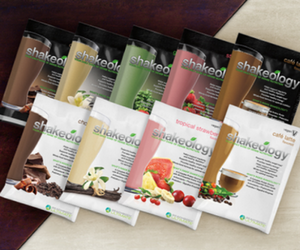 If you really want to make a change in your life, try this amazing meal replacement shake and see what it can do for you! And don’t forget to exercise, it does a body good.